Free shipping to United States. See item details below for sale terms. 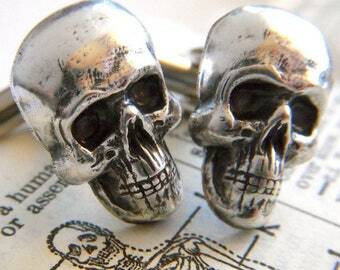 Silver plated metal skull and crossbones cufflinks. 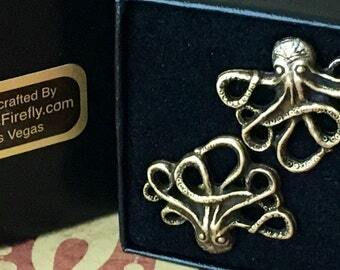 Stamped from sturdy brass metal then silver plated and aged with an antiqued finish. Perfect for pirate costumes or birthday, wedding, graduation gifts. 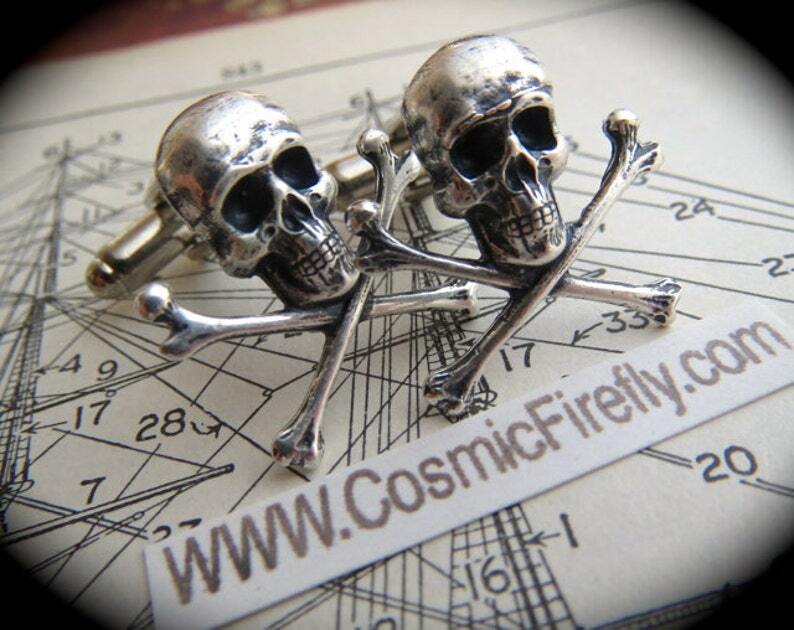 Made in the USA and expertly crafted by Cosmic Firefly. 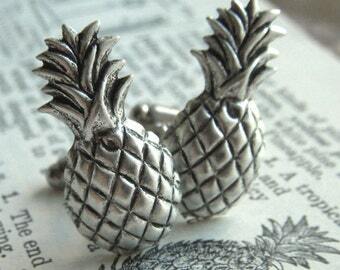 We have sold over 1 million dollars of handcrafted jewelry and accessories on Etsy. These are lightweight and fun to wear and would be great for a pirate wedding or cosplay costume. Small size Gothic Victorian style skull and crossbones have great detail you can even see the teeth in his mouth. • Lightweight and fun to wear! Arrived quickly and I was impressed with the quality. My husband loves them. 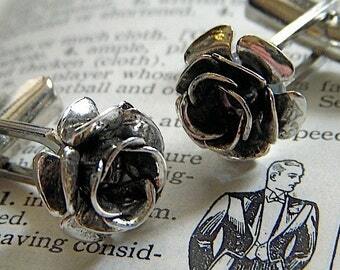 Very nice quality, my fiance will love them! 1. We accept credit cards processed directly through Etsy and we accept PayPal. 2. You can choose which method after you put the items in your cart and before you go to the checkout page. 3. You can pay with a check through PayPal. We stand behind our craftsmanship and service and we would like the chance to fix any problem or issue if it arises - We do not issue refunds or exchanges on our handcrafted items unless we made an error in your order so please check the sizes, dimensions, and finishes carefully before placing an order thank you! Most of of our items are custom made as they are ordered and it may take up to 10 business days until the item is ready to be shipped, we try to ship faster if we can. We ship by USPS First Class Mail (or Priority Mail) with Delivery Confirmation for USA addresses. We will email you the tracking number when your order is shipped. For USA Customers: If you need your purchase extremely fast (like Overnight Delivery or within a few days) We may be able to accommodate you in certain situations and for certain items. Just send us a convo and ask first please. International Orders: Please allow 2 To 8 weeks for delivery as some shipments get delayed in customs - Please note some foreign shipments do not have tracking - International orders may be charged additional fees and import taxes from your country when it's delivered to you. All sales are final. We do not accept returns or exchanges for our handcrafted items unless we made an error with the order.